At the end of last year, as a bit of light-hearted relief, we invited readers to predict the HadCRUT4 global temperature average for the year 2018, for a chance to win a bottle of House of Lords whisky and a copy of Bernie Lewin’s book on the early history of the IPCC. Last December, HadCRUT4 was running at around 0.68°C above the long-term average, pushed upwards by the recent El Nino. Many people who entered the competition thought that temperatures would remain around this level, or even rise slightly. The Met Office (who sadly didn’t enter the competition), had already made an official prediction of 0.59–0.83°C – giving themselves a wide margin for error – and this took in the majority of GWPF readers’s predictions, as well as going far above most of them. Nine months on, it’s interesting to see how these predictions are faring. The current value of HadCRUT is 0.58°C, for August, while the average for the year to date is 0.582°C. The figure below is a histogram of readers’ predictions, with the value corresponding to the HadCRUT average shown in green. It’s clear that the Met Office’s prediction (the grey area) has fared badly, with HadCRUT below the bottom end of the prediction. 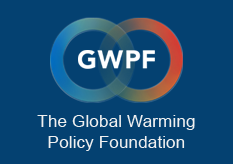 It’s also true to say that the Earth’s temperature is below what the majority of GWPF readers envisaged, although 8 individuals are currently vying for the prize.